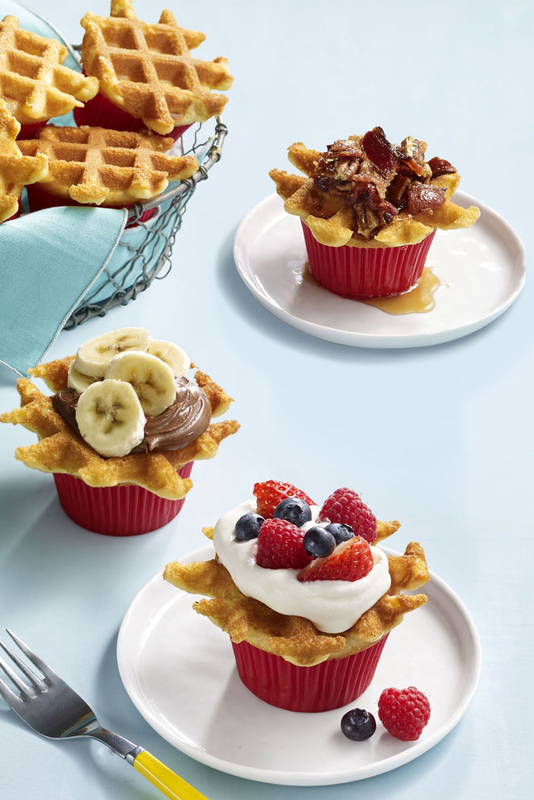 Cupcakes, meet breakfast—this easy and fast wafflecakes recipe will have your kids at the breakfast table pronto. Cupcakes, meet breakfast! 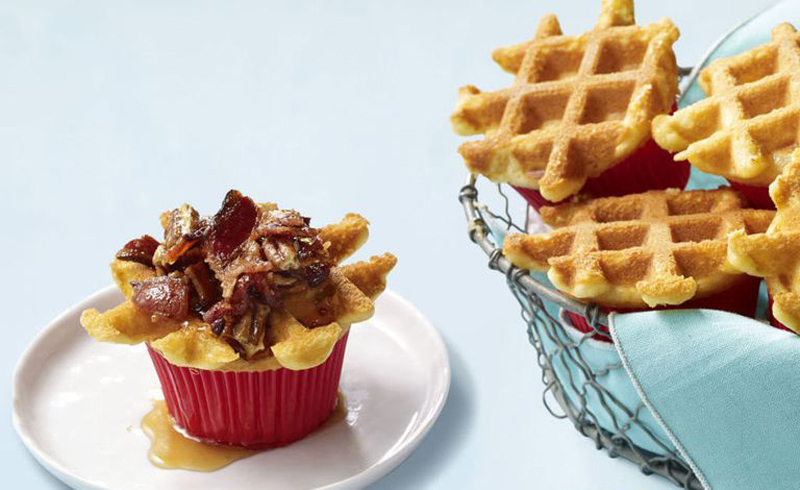 This wafflecakes recipe will have your kids at the breakfast table pronto. Heat oven to 350°F. Line a 12-hole muffin pan with 8 paper liners. Using an electric mixer, beat the butter and sugar in a large bowl until light and fluffy, about 3 minutes. Reduce mixer speed to medium and add the eggs, one at a time, beating each until incorporated before adding the next. Beat in the vanilla. Reduce mixer speed to low and add the flour mixture in three parts, alternating with the milk and beating just until incorporated. Reserve 3⁄4 cup batter, then divide the remaining batter among the paper liners (about 1⁄4 cup plus 1 tablespoon each). Bake until a wooden pick inserted into the center comes out clean, 18 to 20 minutes. Transfer to a wire rack and let sit until cool enough to handle. Make the wafflecakes: Heat a waffle iron on high. Working one at a time, spoon 1 1⁄2 tablespoon cupcake batter onto the waffle iron and gently push a cupcake, top side down, into the batter. Repeat 3 more times, depending on how big your waffle iron is. Cook, uncovered, until the batter is golden brown and no longer wet on the side facing up, 4 to 5 minutes. Allow the waffle iron to come back to temperature, then repeat with remaining batter and cupcakes.